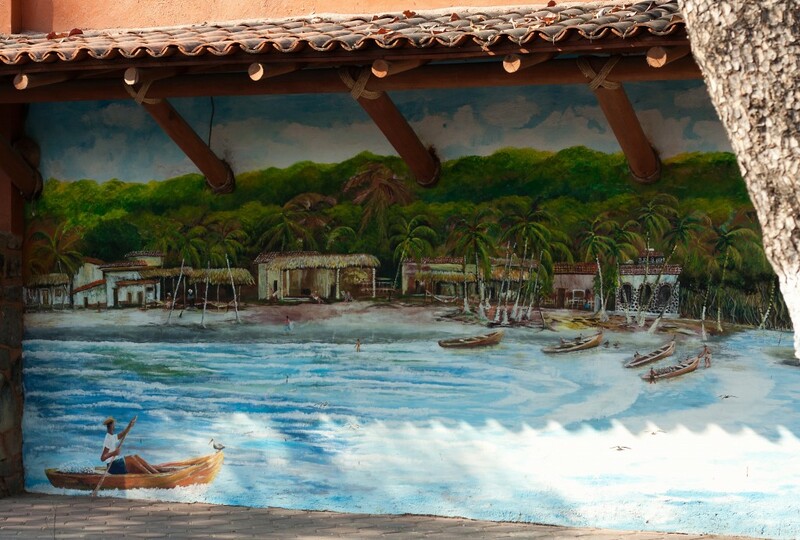 Angie and I recently took a trip to Zihuatanejo, a lovely beach town on a bay in Guerrero, Mexico. My friends Darrell and Todd & Kathy had been there before and provided recommendations, but I’m not ashamed to admit that I was already a bit emotionally attached to the place before ever going there, through the references in Shawshank Redemption. 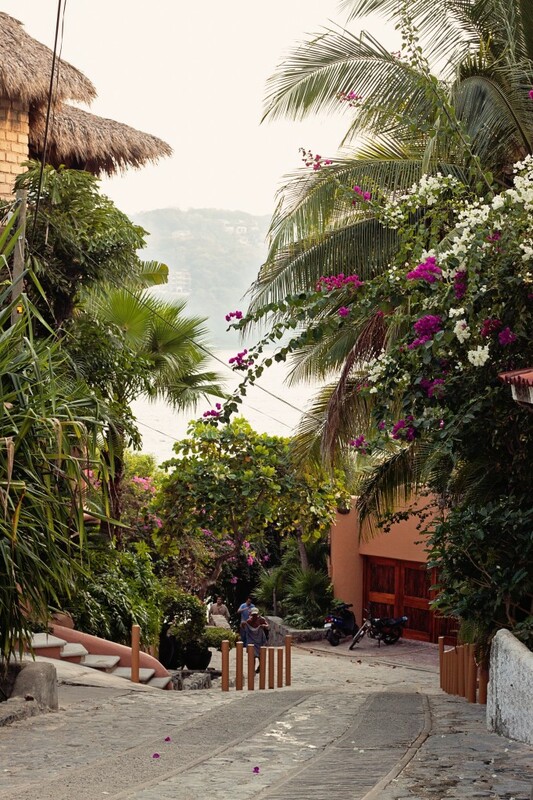 TL;DR version of this: Zihuatanejo is awesome, and you should go there. Oh, and there’s pictures of food below, so there’s that. Some of the photos below were taken by me on a Nokia Lumia 920. The best photos were taken by Angie with some real photography equipment. We spent eight days in Zihua, bunking at The Tides The Viceroy. Which is an excellent place to stay, and as long as you take their cheap room, is an excellent value as well. It’s not cheap by Mexican hotel standards, but it’s not anywhere close to the cost of typical resort hotel (you know, the “all-inclusive” types that ensure you never leave the place). Panaroma of the beachfront at The Viceroy. 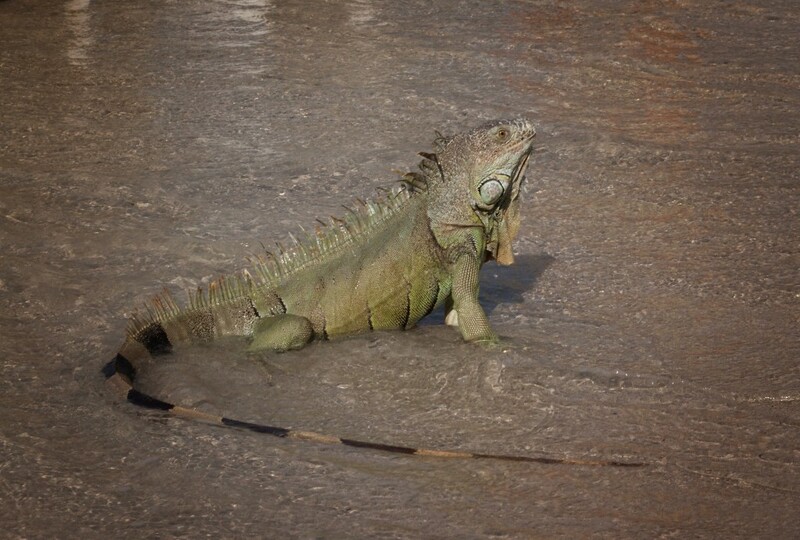 The Viceroy is smack in the middle of Playa La Ropa, the main tourist beach on the bay. 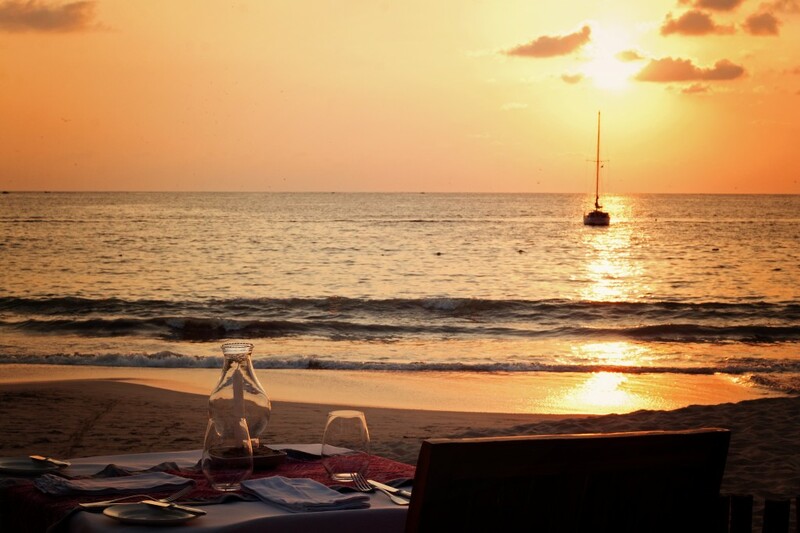 It is within a short stroll of several restaurants on the beach. If you’re into this sort of thing, you can rent jet skis, kayaks, sailboats, and harness up to a parasail right there on the beach. We did none of that stuff, but there were plenty of others doing just that. This hotel has a long stretch of beachfront, with dozens of palapas with beds and lounge chairs in a de-militarized zone between the hotel buildings and the public beach. Being sectioned off was important, as there are many vendors on the beach who want to sell you stuff you don’t need at yankee prices. It’s great to pick up some local arts and crafts and support the community, but I want to do it on my own terms. 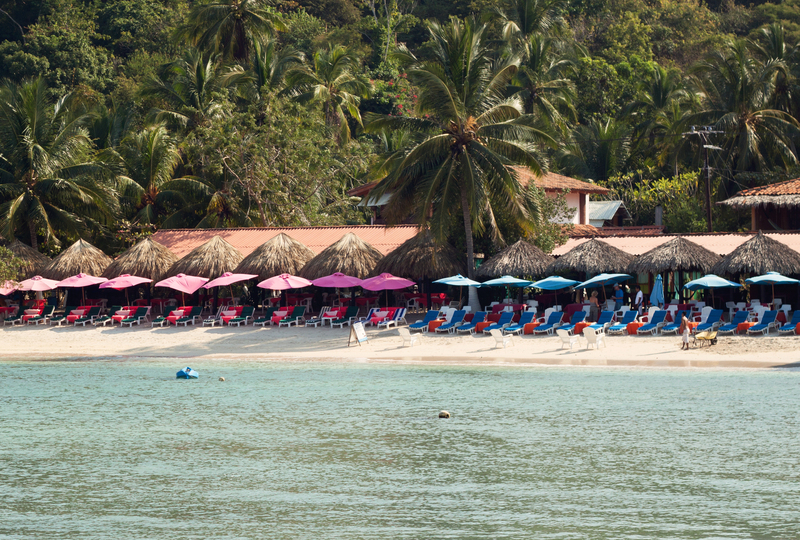 We often got lost in reading books under a palapa, listening to the waves, and enjoying a steady stream of Coronas being served by the super-attentive-but-not-overbearing waitstaff. Juan was our bartender on most nights … a wonderfully-friendly fellow, with excellent English, and strong tolerance for my terrible Spanish. 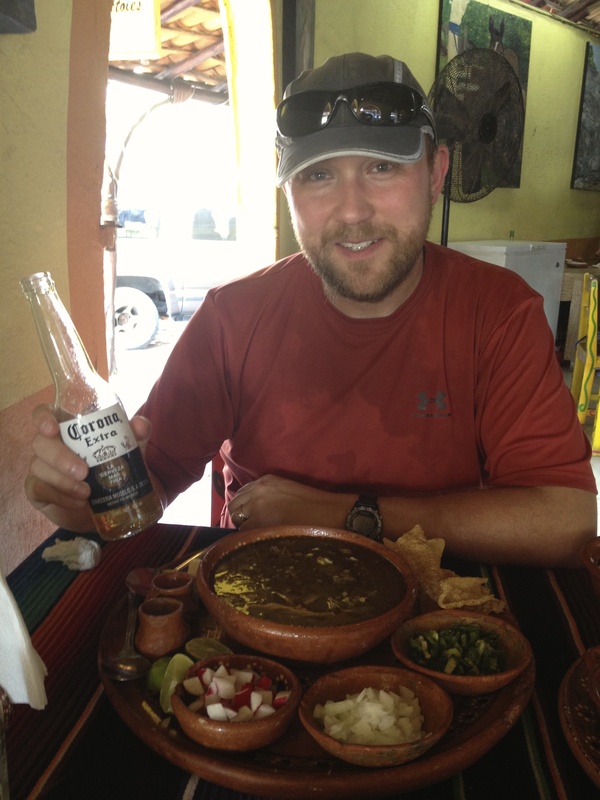 Some of our best days went like this: read books, beer, guacamole, read/beer, beer/read, sunset, dinner. Really, just perfect stuff. Did I mention that this was all on the beach? And then there was this: the most unexpectedly-awesome part of the hotel was the coffee service. By 7:30 a.m. every day we had an insulated pot of hot coffee and a few pastries waiting on our semi-private patio outside our room. It was sooooo nice to be able to wake up slowly, and enjoy coffee and chat a bit at our room. So wonderful. Our room rate came with a daily restaurant credit, which we took advantage of. Typically covered cost of lunch and a few drinks during the day, which was a nice thing to count on. Dinner at the hotel was fairly expensive, but the food was great and the setting was absolutely perfect. I mean really, can you top this? View from dinner at The Viceroy at sunset. Dinner at The Viceroy, after dark. Speaking of beer, we treated it like water. Had a lot. Needed to, as the weather was quite warm and humid. There’s really just something awesome about a cold lager beer in hot weather. And, it was roughly the same price as water. The hotel charged a lot more than other places (captive customer, you know), but that’s to be expected. Darrell had recommended a few places for us to try, and we did, as well as hitting up some other spots. All the below are highly recommended. Tamales y Atoles Any is a tamal and pozole joint on a busy intersection in el centro de Zihuatanejo. We went there twice for lunch. Angie got red and green pork tamales for 25 pesos each, and I got a medium-sized serving of pozole (yes, on Thursday!) for 90 pesos. By medium-sized, I mean giant, massive, took me an hour to eat it all -sized. Ohmygoodnesss this was tasty. As you can see, it was a rather warm day. Really just a great restaurant, with good simple choices and good prices. Seeing the state police pull up outside with their automatic weapons and set up a defensive perimeter while one of their crew went to the ATM across the street was a nice bit of cultural immersion, too. Just a couple doors down from the tamal place was Los Braseros. 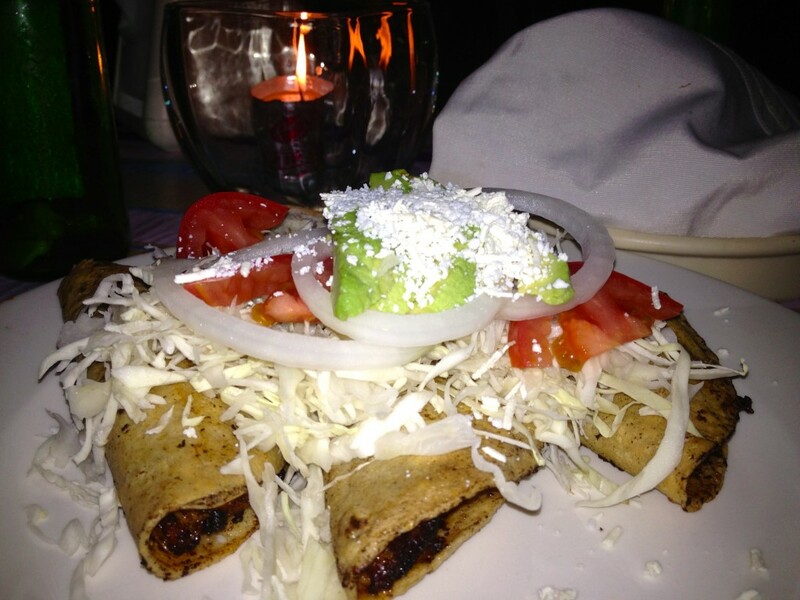 Ordered the alambres de pastor — a new dish to me. 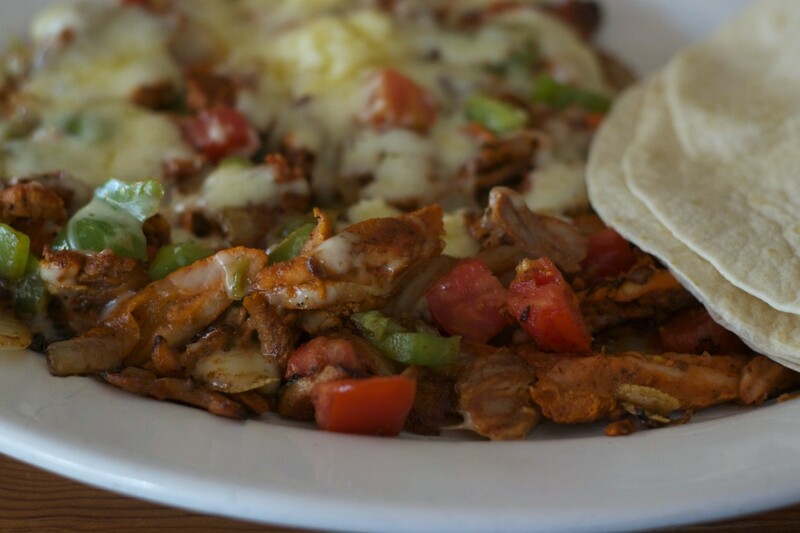 Sort of a beautiful love child of fajitas and Philly cheese steak. Tasty! Famous for their coconut shrimp, and for good reason. 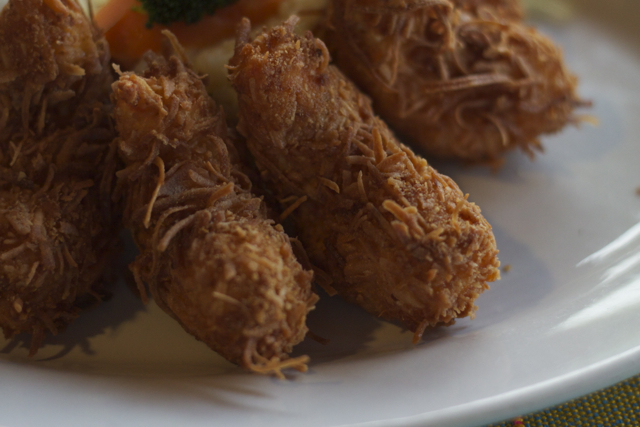 Shrimp stuffed with cream cheese and breaded & fried. Go light on the coconut dipping sauce, it’s basically straight sugar with a dash of coconut milk. Lety’s is located just over the footbridge just west of el centro, along the harbor inlet. We also tried the chile relleno at Lety’s, which was just OK. Basically, too rich and too much going on. Would have preferred a simpler dish. No picture of that one :). 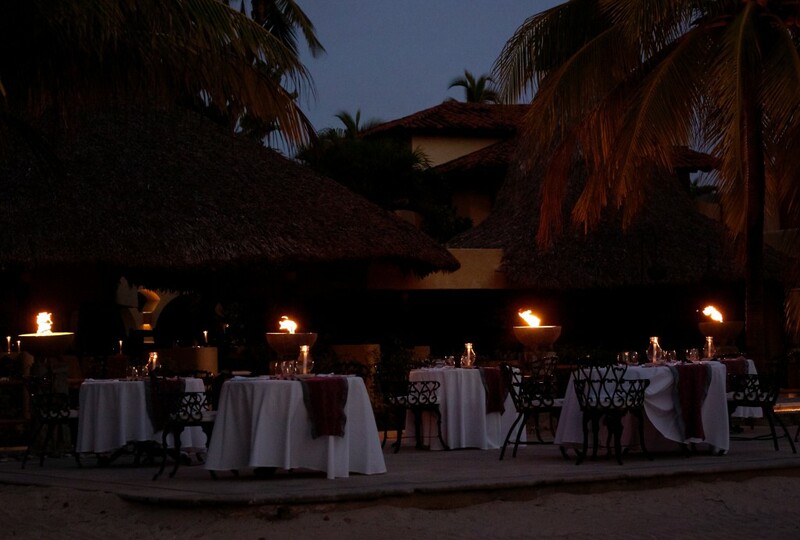 Paty’s is a beachfront restaurant just north of the Viceroy, and has a moderately-priced menu. Definitely tourist prices, but not hotel prices. Shrimp tacos were 90 pesos, whole garlic-fried red snapper was 150 pesos. Both were wonderful. 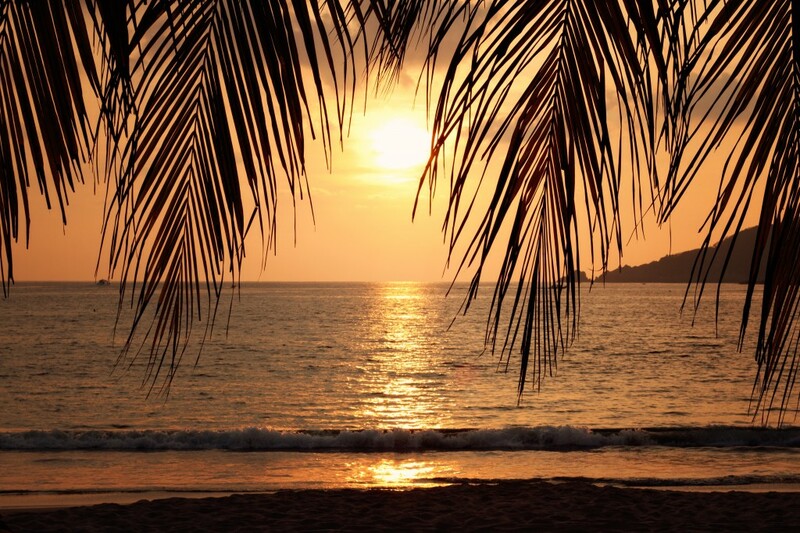 If you do nothing but relax on the beach, you have won. That said, we ventured out a bit. Walked into town a few times (30 minutes or so each way), which included a stroll up and down some steep roads. El centro is lively and buzzing with activity. Near the waterfront you have to deal with vendors trying to sell you stuff at every turn. Head away one block, and you are in town, and free to move. Which we did. A lot. Found a nice tequila shop and bought a small bottle of Chamucos reposado tequila for less than 100 pesos. It was nice to sip that on the beach later on. 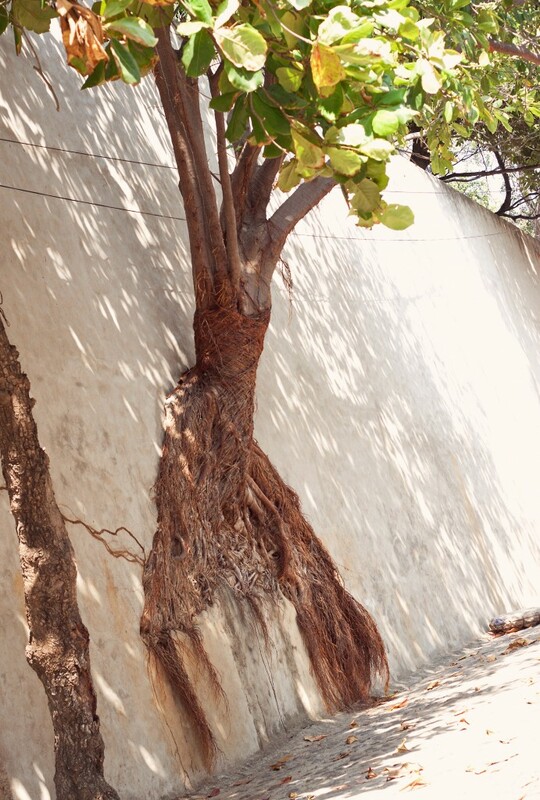 This tree, near Playa Principal, seems rather resourceful. Might be undermining the foundation’s strength. 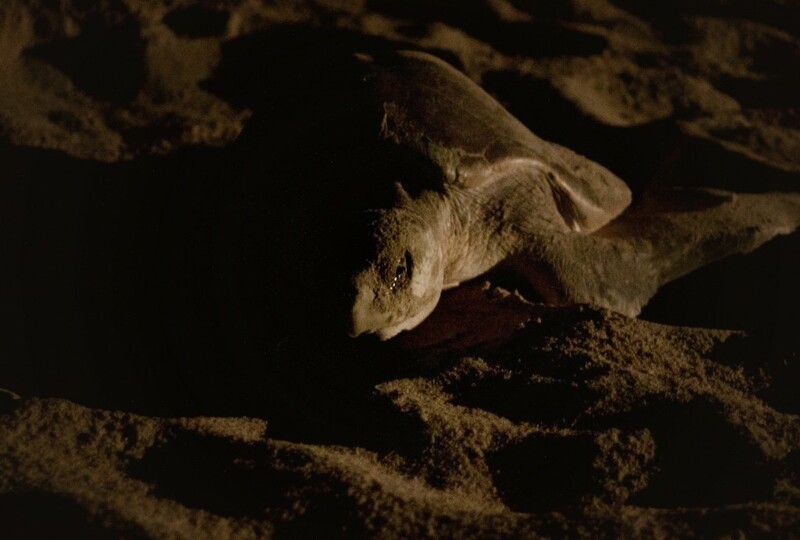 The emotional highlight of the trip was being by ourselves on the beach late at night under the full moon, and watching a mama turtle come out of the waves, build a nest just a few feet away from us, and lay her eggs. All told, it took her about 30 minutes to dig, lay, cover. The light from the photo was the ambient light from a walkway light on the beach at the hotel behind us. We ended up seeing four turtles lay eggs while we were there. On one occasion, a local conservation official collected the eggs as the turtle was laying them, and took them to a breeding facility on the south end of the beach. 81 eggs in all! 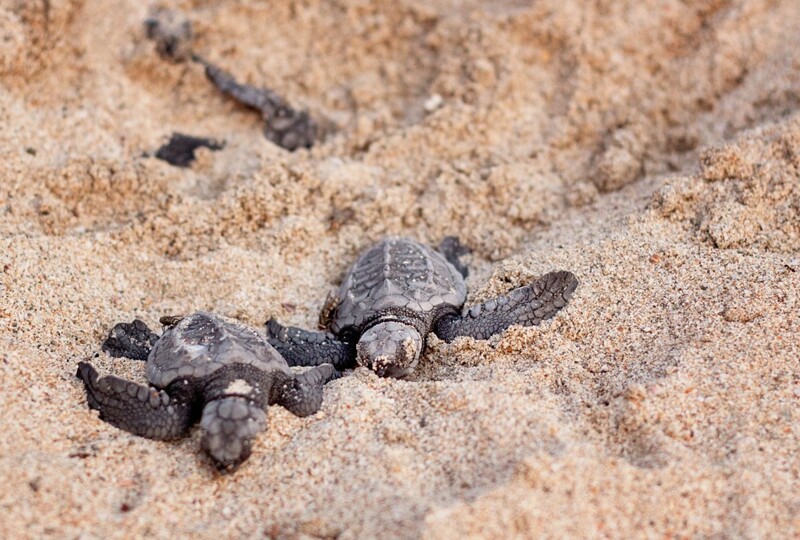 Turtles coming out of the nest. 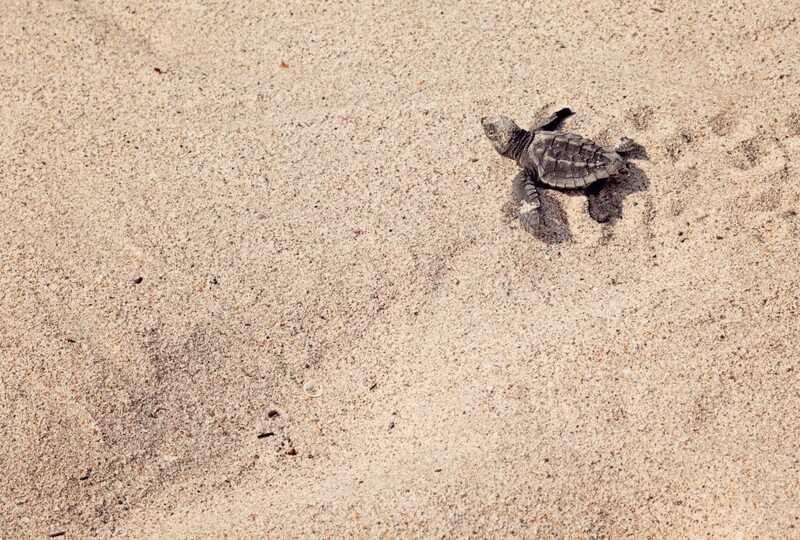 Making a run for the ocean. We helped this one along. On the south end of the bay is Playa Las Gatas. How should I say this? How about: don’t go there. Really. Complete and total tourist trap, lined end to end with restaurants trying to get your business. It’s kinda isolated, and most people take a water taxi to get there. We walked. The views are nice, but it’s just not fun. Too cramped, too many vendors. If you don’t have a hotel on the beach, maybe this is an OK place to visit, but we really didn’t like it. Panorama from the pier at las gatas. You can rent snorkel gear and check out the little bay at las gatas, but the water looked very murky. Can’t imagine that the snorkeling would be any good there. Supposedly you can walk further west past the beach, around the point, and see the lighthouse. Read about that afterwards, would have attempted that if we had known. I said, this is my beach. OK, so it was just somebody’s pet. But still cool! Zihua is a great place. Go there, eat well, and live well.